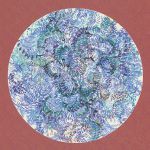 Review: Following a 12" from Shedbug, Flux Records rolls around for a second helping with assistance from rising French producer Laroze. The young artist wears his influences on his sleeve, channeling the spirit of all eras of the Motor City into his soul-soaked tracks, not least on first track "Good Inside." "Loin Des Yeux" is a more contemporary house jam with woozy pads and samples aplenty from the Think break upwards. "Acid Devotion" meanwhile takes a break from Detroit to whip up a 303-laced storm, and then Andres comes on board to drop some authentic Midwestern charm over "Loin Des Yeux". 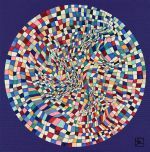 Review: Laroze is flying the flag for US inspired house music in France, wearing influences from Nu Groove to Mahogani Music on his sleeve and delivering that classic strain of deep house that never dulls with time. "Bring It Down" is a soul-stirring boost of energy fuelled on the hedonism of optimism of vintage 90s house, from the chords to the vocal hook. "Port De La Lune" does a damn fine job of looping up some feel-good disco licks, and "You Better Give Up" shows a different side to Laroze that feels as indebted to R&B and downtempo as house music. Kosme comes on board to do a remix of the track that reframes it as a rolling breakbeat number.